An Iranian who became the first woman in her country to fight an official boxing match says she canceled her return home from France after hearing that an arrest warrant had been issued for her arrest. 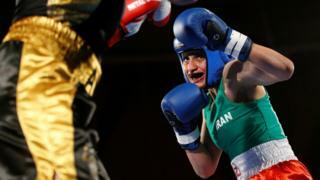 Sadaf Khadem beat French boxer Anne Chauvin in an amateur fight on Saturday. She had planned to fly to Tehran with her Franco-Iranian coach this week. Khadem was quoted by a sports newspaper as saying he believed she was accused of violating Iran's mandatory dress code by boxing with a vest and shorts. Iranian officials have not commented, but the head of the Iranian boxing federation denied Khadem was arrested if he returned home. "Ms. Khadem is not a member of [Iran’s] He organized athletes for boxing, and from the perspective of the boxing federation, all his activities are personal, "said an Iranian news agency, according to the magazine Hossein Soori. Khadem fought with a green vest and red shorts with a white waist, the colors of the national flag of Iran, in Saturday's fight in the city of Royan, in western France. 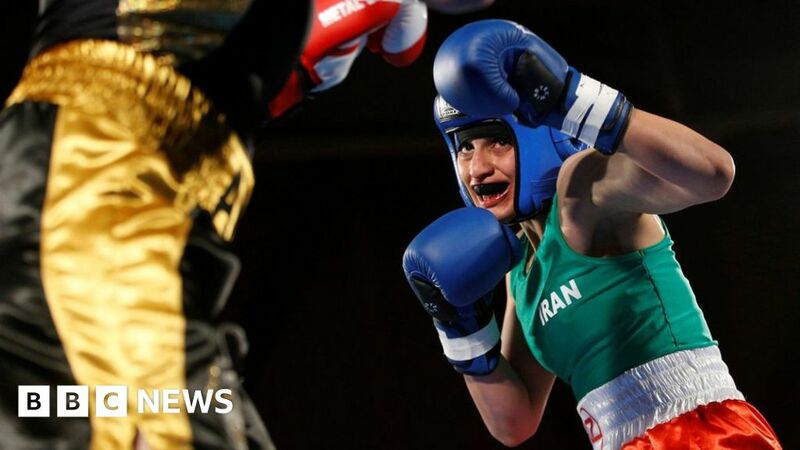 The 24-year-old had to fight abroad because, despite having the blessing of the Iranian sports authorities, it proved too complicated to meet the requirement that the fight be refereed and judged by women. Khadem expected a hero's welcome when he returned to Iran. But while traveling to Paris's Charles de Gaulle airport with his trainer Mahyar Monshipour, a former World Boxing Association champion born in Iran who also serves as an advisor to France's sports minister, said they were told that orders had been issued arrest for his arrest. .
"I was fighting in a legally approved party, in France, but since I was wearing shorts and a shirt, which is completely normal in the eyes of the world, I confused the rules of my country," he told the L '#Equipe Journal. 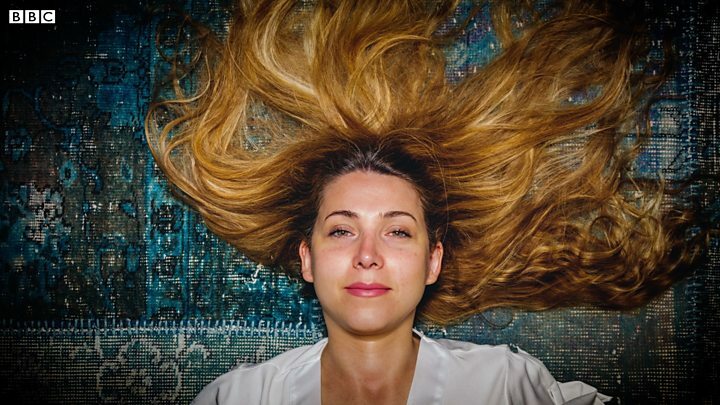 "I was not wearing a hijab, I was trained by a man, some people have a dim view of this." A spokesman for the Iranian embassy in Paris told the Reuters news agency on Wednesday he could not comment on whether Khadem was facing arrest in Iran or his decision not to return to Iran. According to Iranian law, nine-year-old women and girls who are seen in public without a veil can be punished with a prison sentence of 10 days to two months, or a cash fine. Iranian athletes must cover their hair, neck, arms and legs when they compete. Until recently, Khadem had not been allowed to participate in an official boxing match wearing a hijab or a full-body uniform suitable for religious regions. But the International Boxing Association (AIBA), the governing body of amateur boxing, changed its uniform rules at the end of February.